The winds were light and out of the east today, when we left my dock, in Everglades City. We decided to head a mile offshore, and fish a couple of wrecks . When we arrived at the first spot, the mackerel were everywhere! Within minutes of casting out a rootbeer jig, we were hooked up with a nice size fish, tipping the scales at 5 lbs! After catching several more beautiful mackerel and bluefish, we began to head inshore, to fish a grass flat, where the trout and pompano like to hang out. Within several minutes into our first drift, the trout and pompano started to bite . 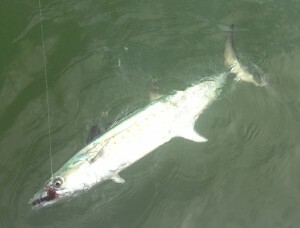 We caught several nice trout and pompano that were in the 4-6 lb range. 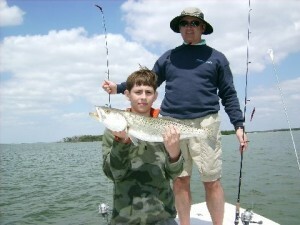 With April almost over, and May right around the corner, don’t miss out on some great fishing! Give me a call, and let’s get out on the water, for a great day of fishing!